A podcast exploring the art of mandalas and living an inspired and creative life. Creating mandalas is so much more than making pretty pictures. The process of creating mandalas offers a relaxing and healing retreat from the busyness of life. Each week I get e-mails from people who share their stories of how their mandala practice has helped to ease anxiety, depression, grief, and overwhelm; navigate challenging relationships; or gain clarity on their life’s purpose. 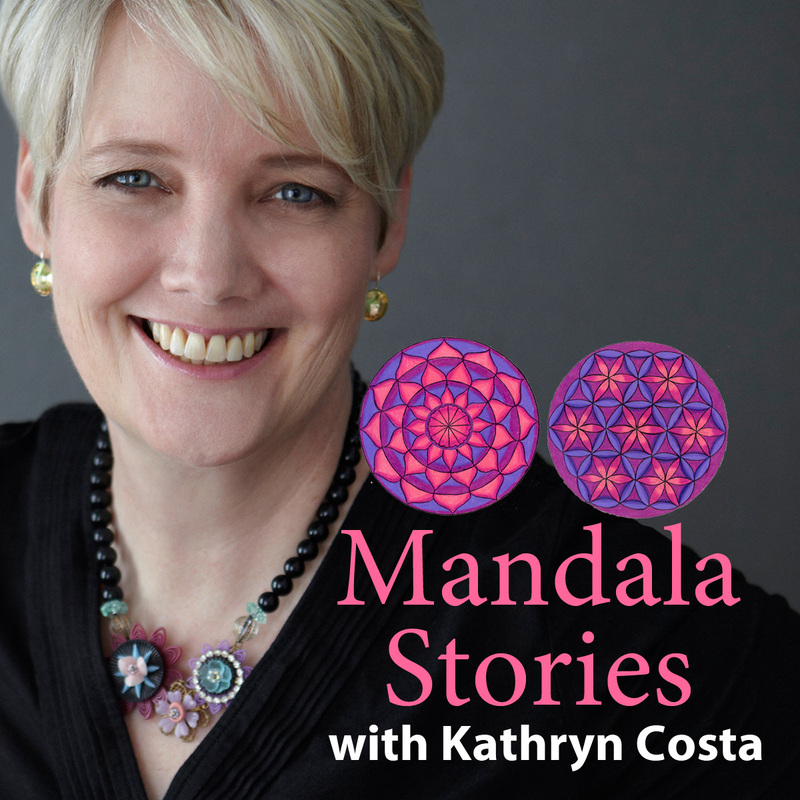 Tune in to listen to these incredible mandala stories. Creating 100 mandalas in 100 days is not an easy challenge. Often we start a challenge like this with gusto and enthusiasm feasting on all of the mandalas that are posted in the Facebook group, The Mandala Sharing Circle, and pouring over the gorgeous mandalas found on Pinterest. We experiment with new techniques, materials, and prompts. After a few weeks, staying the course can be difficult. Inner critics, boredom, the busyness of life can all show up and get in the way of enjoying the process of creating mandalas. Words of encouragement, a little pep talk, and inspiring stories, this is what Kathryn Costa offers you in this podcast. Listen in for inspiration and tips on how to avoid the common roadblocks and stay inspired to keep creating each day for the joy of it! In this podcast series we’ll explore some of these topics to support your mandala practice. What is the 100 Mandalas Challenge? Performance versus Process: How to become present to the joys of mandala making. “I don’t have time!” 5 strategies for making time each day for making mandalas. What is the Zen in Zen Doodling? How you can cultivate peace by creating mandalas. “My mandalas are not good enough!” The dangerous detour down the path of comparison and how to change your course. In a design rut? Where to find inspiration. Are you authentic or a copycat? Copying versus creating your mandalas. “Coloring and doodling – your art isn’t serious!” How to respond to those who don’t get the joy and benefits of creating mandalas. See the cool sound booth that my husband made for me! Listen to my first soundcheck. I also share a little bit about what this podcast will be about. Meet your host Kathryn Costa and listen to her story about how she came very close to quitting her blog after seven years and how launching the 100 Mandalas Challenge put her on a new inspired career path. If you have questions about your mandala practice send Kathryn an e-mail using the contact form. Your questions will be great topics for future podcasts.